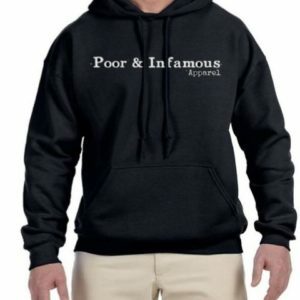 Our Poor & Infamous Logo and Built For Hoes Not Hoes Shows Logo all wrapped up in a hoodie! 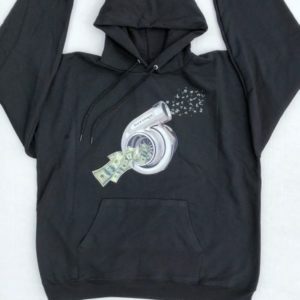 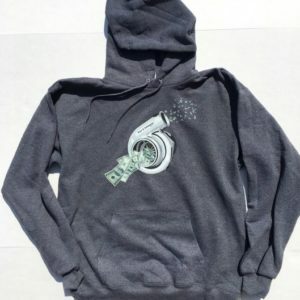 Keep warm while showing the world how you really blow your money. 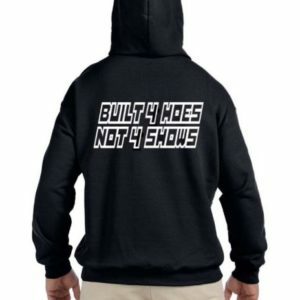 Keep warm while doing race car things.